"I've no doubt in my mind that Simon will register more 180s than Snakebite." This shouldn't event be a contest, I'm alluding to the 180 battle. 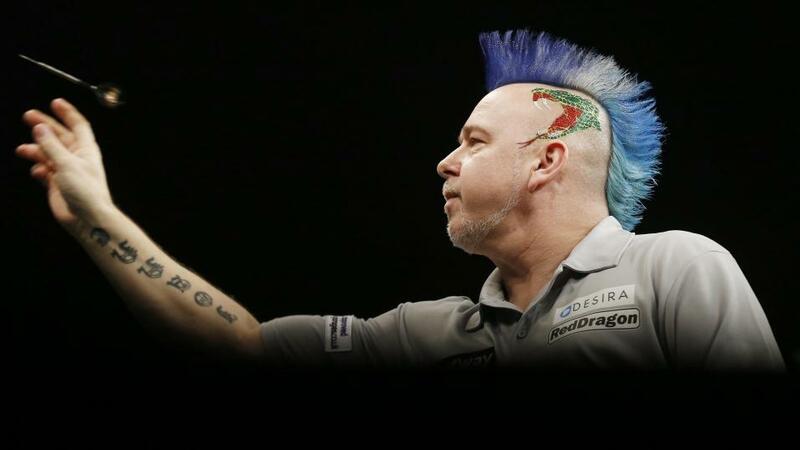 Peter Wright has hit four maximums in 31 legs, while Simon Whitlock has managed nine in just 30 legs. I've mentioned it before and I'll keep bashing on about it, Peter's new darts make it more difficult to hit maximums. Wright is hitting an abundance of 140s but not 180s. If you watch closely, Peter invariably hits a treble first dart then has to move, this isn't conducive to hitting maximums. It's a rhythm ruined. Take Gary Anderson as an example, when the first dart goes in the treble the only time he'd move is if it's hanging in the board oddly. Peter's darts enter the board at an angle, so he feels the need to stop, move, readjust, then throw the next dart. By the way he's throwing them beautifully, I think they work for him. I've no doubt in my mind that Simon will register more 180s than Snakebite. Against James Wade, Simon played okay, if he plays similar stuff against Wright I think he'll get beat. In his first round match against Richard North, he wasn't pushed at all so it's difficult to quantify. Wright has been good. In his win over Jelle Klaasen in round one he got in front and coasted, he didn't look that at ease in spots but he was always looking the likely winner and that proved the case. Then in the last round the world number two came to life, hitting 20 140s in a demolition of Kim Huybrechts, who played well. On current showing, I can't imagine Whitlock winning this best of 31 leg match. Wright looks a good thing to me. Head-to-head. 12 -7 to Wright. Peter is unbeaten in the last three against Simon.